This New York Times Best Seller and multiple Eisner Award-winning series written by Shannon Watters with Kat Leyh, and illustrated by Carolyn Nowak (Rungs), follows the Lumberjanes as they face new challenges in their friendships and embark on fantastical adventures! And ever wonder how the Lumberjanes first met? 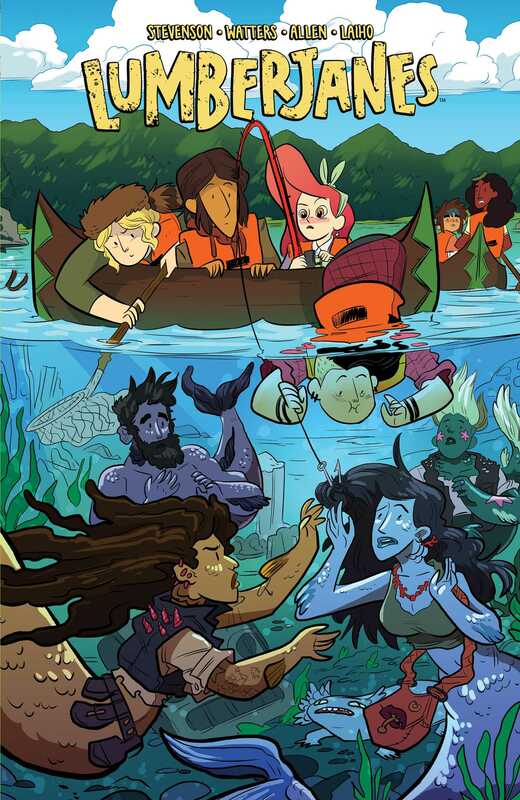 Find out in the story written by Noelle Stevenson (Nimona, Runaways), and illustrated by Brooke Allen (A Home for Mr. Easter), when they take a trip back to the first day of camp and witness how the Lumberjanes “friendship to the max” began!